Hello world! My name is Marco, and I am a Software Engineer from Italy. I work as Lead Engineer of Black Studio (which is also present here on Codeable with an Agency profile). I have over 15 years of experience as Full Stack Developer with PHP/MySQL/JS/HTML/CSS development, of which the last 7 spent almost exclusively on WordPress projects. I’ve built more thant 200 WordPress websites, also providing and managing hosting and ongoing support. I’ve specialized in advanced customizations of the backend and frontend of WordPress, and integrations with 3rd party services. I extensively work with OnTheGoSystems products like Toolset plugins and WPML, and I’m also in their consultants list (as “Black Studio”) and I’m often involved in bug reporting and fixing, and in making improvements that they adopted in the following releases. I extensively use Genesis Theme Framework for the most of my projects, either customizing existing child themes or building them from scratch. I do also have experience with WooCommerce solutions and related plugins. I do have a wide knowledge of existing free and commercial plugins, so for every WordPress problem I’m able to find a solution either based on existing plugins, or develop it from scratch when no other solution is available, or sometimes use a mix of the two approaches. Often I take care of different kind of tasks on existing sites, i.e. Speed Optimization, Security / Hardening, Data migration/conversion, etc. I also developed some free WordPress plugins that are available on the official WordPress plugin repository. The most popular is Black Studio TinyMCE Widget, which is in the list of the top 30 popular plugins on wordpress.org, and it is often included in blog articles listing the best or more popular plugins (i.e. GoDaddy’s top 100). It counts more than 5.000.000 downloads with a 4.8/5 average rating. This plugin is a good representation of the way I work: it’s simple, clean, solves in a straightforward and clever manner a common problem, and it’s loved by the users. I also often contribute to other plugins and also to WordPress core. Marco is a true professional. 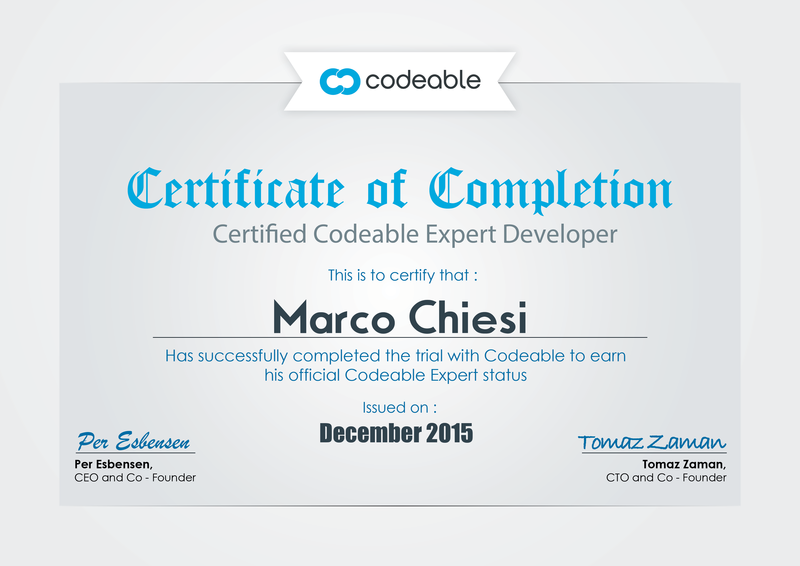 When you say WordPress expert, that's Marco by definition. WILL HIRE AGAIN. Highly recommended. Our web site was running slower than a turtle, thanks to bloated code and some issues that had gradually developed over time. Marco came in and whipped the code into shape, and restored the performance we had been missing! When the others developers who bid on our project all said “you’re in good hands with Marco,” that’s the highest compliment one could give. Marco did a very good job on the project and delivered perfectly what I needed, while being friendly and precise. I definitely recommend him! Great job and thank you for quickly getting this urgent project done.